From the author of last year's ground breaking legal drama 'A Moment of Clarity' now comes the sequel 'Clarity Must Prevail' a bone chilling International thriller that puts our small town heroes in the worldwide spotlight once again. This time it is behind the scenes, where they are not in their natural comfort zone. 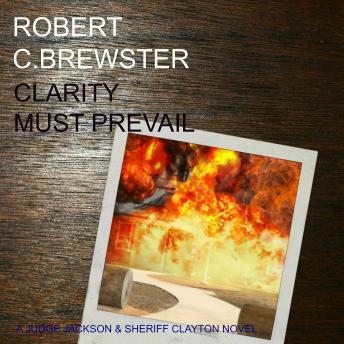 Come along for the ride as newly retirees Judge Jackson and Sheriff Clayton are caught up in a case of global intrigue with possible universal ramifications. How can their small town ways contribute to preventing the loss of immeasurable innocent lives? This unrestrained page-turner will have you hooked from the start.